TV advert production is a surprisingly effective way of promoting a business, goods or services to a mass audience. With the advent of cable television and an increased number of channels, some niche, it has become more affordable to businesses. 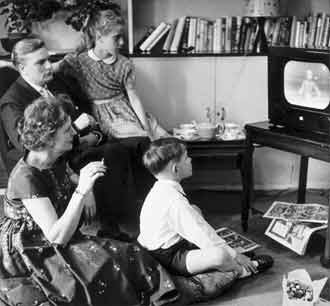 Despite the popularity of the internet, television is still a dominant medium used in most British households. On average, the public watches television over 4 hours a day (according to Ofcom) which makes television watching a particular common leisure pastime. It’s no surprise that the TV advert has retained its position as the most powerful form of advertising used today. One of main business advantages derived from making a TV advert production is that it provides a medium to show and tell. It provides the stage to clearly demonstrate the benefits of owning a product or service. Not only can the product or service be showcased with regards to how it works, but packaging can be displayed so that prospects know exactly what to look for at the point of sale. It’s also possible to add the all-important stats in the form of text to help with building essential purchasing trust. As with any marketing, it often takes multiple touch points to successfully influence the purchasing power of consumers. From the days when the television first entered the living rooms of the UK, the TV commercial has been successful at delivering messages. Now with a myriad of satellite, freeview and cable television being available, it’s possible to secure more affordable and cost effective advertising TV time so that the television advert is now a viable option for the smaller and medium sized business. Feel free to get in touch with us here at Hightower Video for a competitive quote for your next TV advert.